This week’s lesson from Drucker was very deep and was grounded in the working philosophy of the second paragraph of our Declaration of Independence: “We hold these Truths to be self-evident, that all Men are created Equal, that they are endowed by their Creator with certain unalienable Rights, that among these are Life, Liberty, and the Pursuit of Happiness.” Drucker believed this meant freedom, equal opportunity, and the right to be treated with dignity according to the Declaration (Maciariello, 2014). The goal would be for us to have a society of functioning organizations in which individuals find meaningful existence and purpose while also being contributing citizen. In order for organizations to create an environment that meets these criteria, the leaders of the organization must become servants of the people they lead. Service provides the basis for the legitimacy of power and authority (Maciariello, 2014). Legitimate authority in leadership requires taking responsibility for the stewardship of the human, financial, and physical resources of an organization and performing the duties that advance the organization’s mission. Does your organization provide dignity, freedom, and equal opportunity to each of its members, thus promoting American ideals? What do we need to do to be more servant-like in our leadership? Organization policies must be aligned to operationalizing. 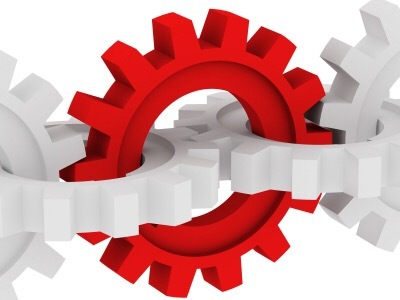 Team members must know his or her role in carrying out the operationalizing of the system. There must be a laser focused strategic plan to get the organization where it is going. The appropriate resources must be provided, available, and in place. There must be measures of effectiveness. An accountability system must be in place. Professional learning, growth, and development opportunities must be well thought out and deliberate. If these points are in place then an operational system can be formed to carry out the strategic plan. Thinking through the job assignment. Interviewing a number of people for the job. Looking at what each candidate has done well in the past. Discussing a candidate’s performance with those with whom he or she has previously worked. Being very clear about the specific assignment to the candidate selected, to the point of having the candidate repeat the description of the assignment to the executive. 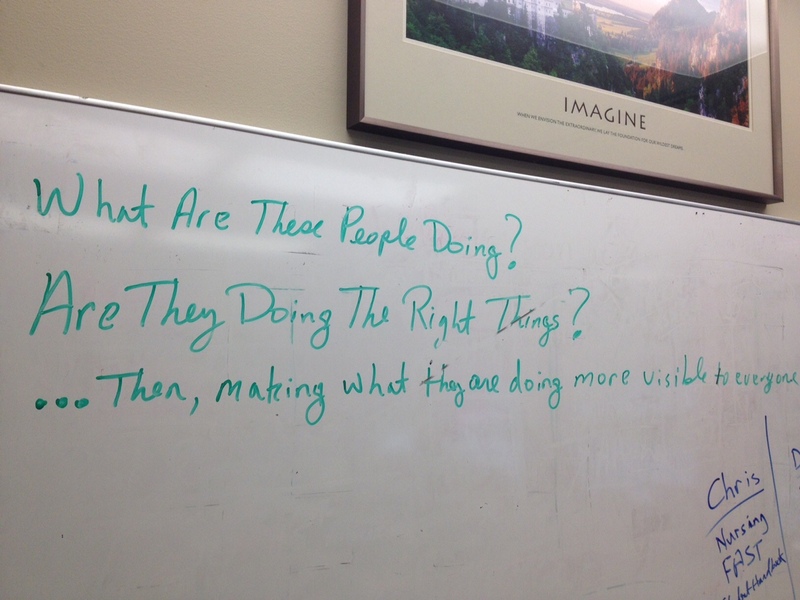 …Then, making what they are doing more visible to everyone. Drucker believed that when people do poorly in their first assignment, that they do have a chance of doing well in their second. He learned to measure the success rate of people on their second assignment in the form of a casualty rate of those placed in retraining. The success rate of individuals in their second assignment, after not having success in his or her first assignment, is the best measure of the way we prepare people (Maciariello, 2014). 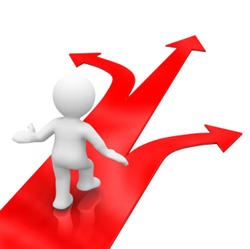 The second chance job success rate, therefore is a good indication of the soundness of your organization’s training. After reading this week’s entry I do believe that, at least in my own case, we need to do a better job of giving individuals who have been moved within the organization a second chance, with training, in another position. Or, maybe even give them the opportunity to go back to his or her old position. As was discussed earlier in the post, we also need to do a better job of selecting people for promotions and moves. Furthermore, organizations that offer people a second chance along with appropriate training for the new position achieve good success rates for people in second assignments. The right job for people who fail repeatedly may be in another organization. What A Great Group Of Education Transformers! This past week I spent time with the great innovators and transformational leaders at Nureva, Inc. as part of an advisory board made up of education professionals to provide feedback and discuss new product designs, functionality, and desired solutions to educational needs. 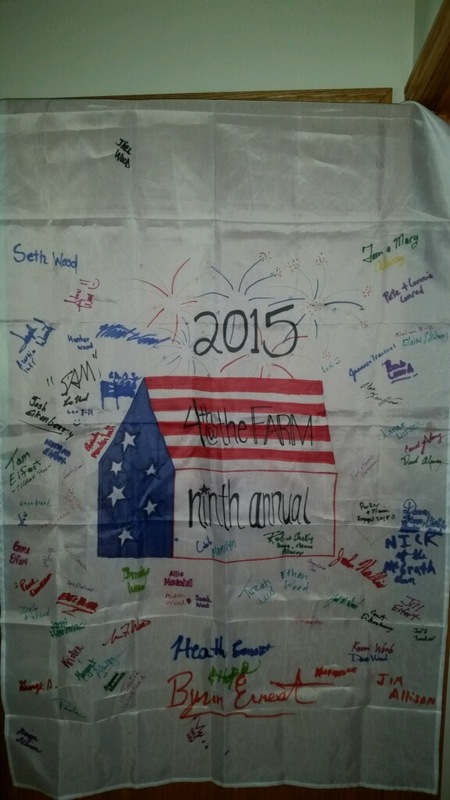 This was very astutely arranged by Kimberleigh Doyle at Nureva Education. During this advisory time we were introduced to Nureva’s newest product, SPAN™. Let me tell you, I was blown away. As you know I am a digital adoptee and believe in the power of what technology tools can do to enhance learning. Click here to learn more about my journey and click here to learn more about SPAN™. I do need to explain the title of this blog post. With Smart Technologies we had SMART Exchange; a community of SMART Technology users where we could upload lessons, share lessons, and collaborate. Of course, I argued that we would need this for SPAN™. And…of course, I thought it should be called SPANDEX! You know, for SPAN™ Exchange! Can’t you just imagine the website? Anyway, I settled for SPAN™EX, but I am not sure I convinced everyone else. Nureva, Inc. was founded by technology veterans David Martin and Nancy Knowlton in 2014. They are friends of mine and were also the founders of SMART™ Technologies. 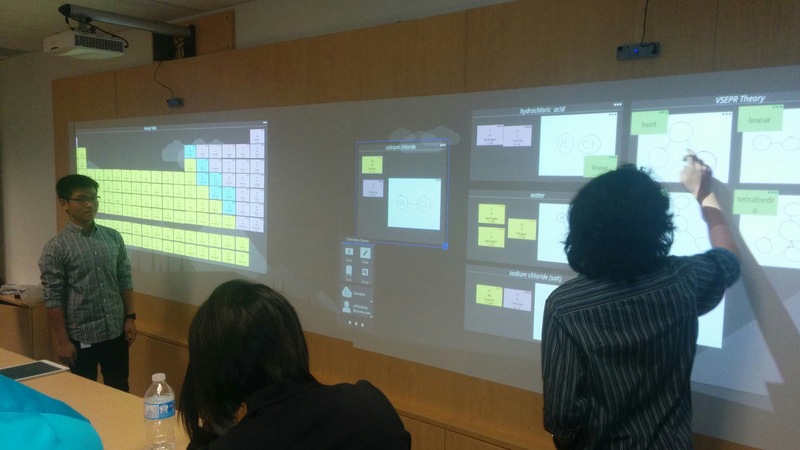 As a SMART™ Exemplary Educator I fully understand the functionality and power of interactive white board technology. 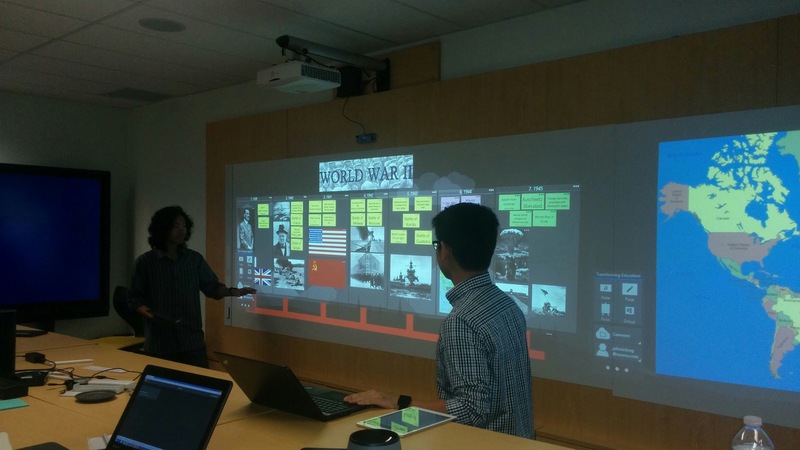 The designers and innovators at Nureva have transformed the way we can use interactive technology with SPAN™. 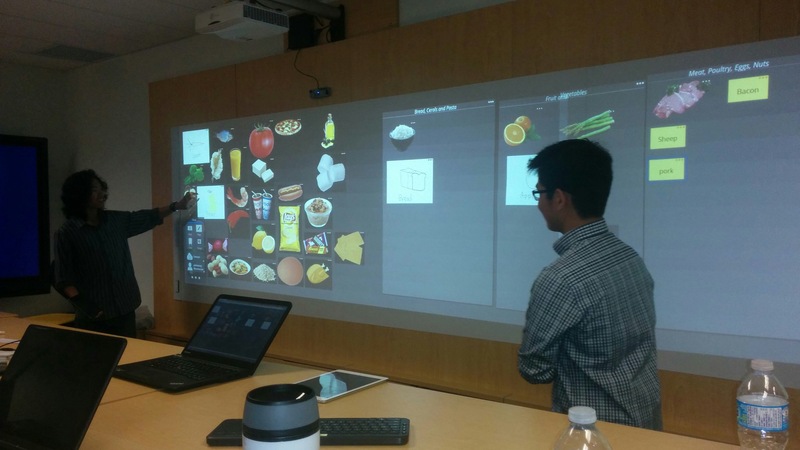 Basically, there are two interactive projectors and 20 feet of interactive space. The projectors employ solid-state illumination, SSI, and the projectors provides a useful life of 25,000 hours. As the user, you are provided with different backgrounds, called a canvas, then an entire collaborative group can be adding and manipulating content at the same time. 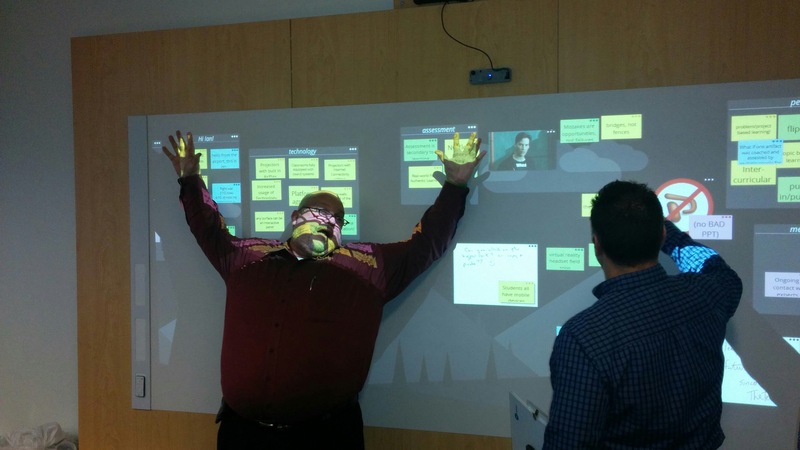 The technology makes “ideation” possible. “Ideation” is a disciplined process of generating ideas and then working those ideas in a team or group environment over a sustained period of time. You have more than likely participated in ideation activities even though you may not have labeled them as such.This group does not even need to be at the same location – as the leader of a virtual school with students in all 92 counties can you see where my thoughts went immediately. Click here for an FAQ about SPAN™. Additionally, up to 10 individuals can be manipulating content, partaking in ideation, on the projected image, or canvas as its called in SPAN™, on the wall. You have virtual post it notes available. You can write. You can add pictures. And… You can move content by throwing it from one end to the other like we see them do on NCIS Las Angeles. You guessed it, I was sold on the power of this tool immediately! 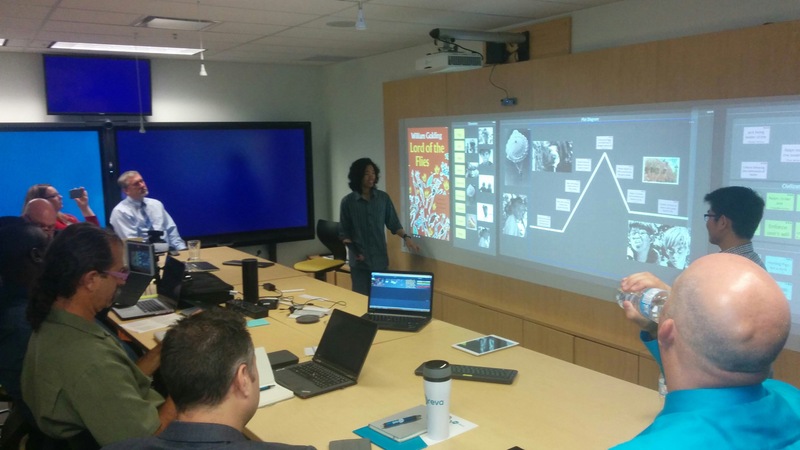 SPAN™ was originally developed as a collaborative tool for business, but the team at Nureva, Inc. very quickly realized the potential for education. Thus, why we were there. Collaboration – they believe they learn more when collaborating with other students. I hope this sounds familiar to all reading as we move to college and career readiness standards. Business and industry stakeholders continue to tell us we need to facilitate learning in a way our students learn to collaborate. Creation – these two very astute interns recognized the importance of being able to create and produce during the learning process. We were able to witness collaborative creations they had made during learning of chemistry, World War II history, literature, and food science. 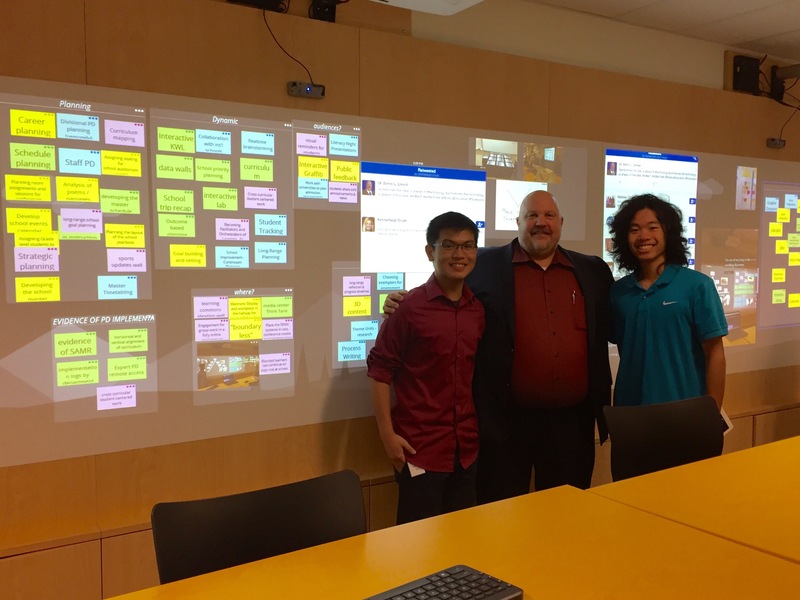 Student Centered – these interns wanted to be involved in the lesson, not just watching a teacher present. Transportable – our interns valued that they could collaborate and work in their groups from anywhere. They really saw value in being able to take the learning anywhere and have 24/7 learning. 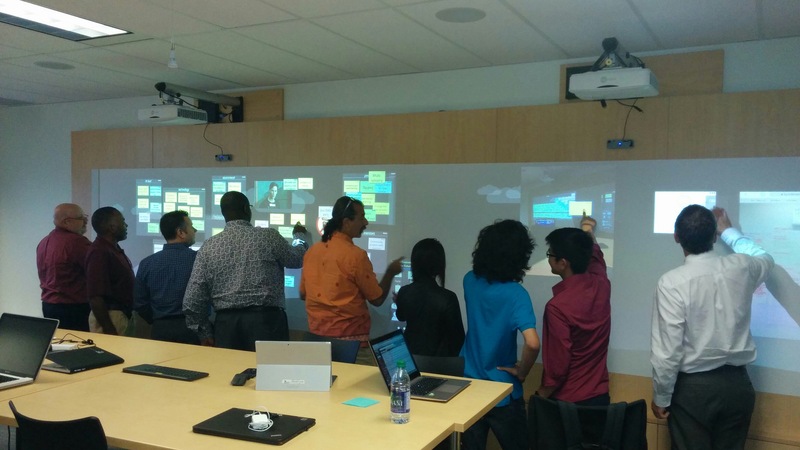 This product is cloud based and changes and collaboration are done in real time. 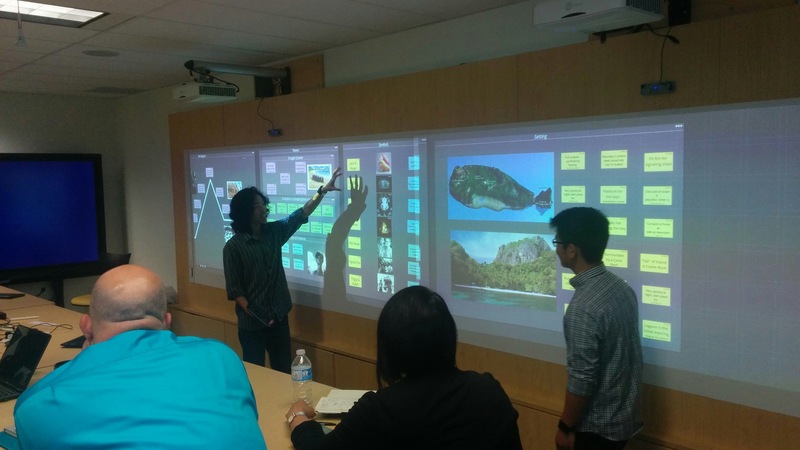 Full class involvement – with SPAN™, unlike traditional interactive products, all students can be working in the collaborative space on their computers at once and 10 can actually be manipulating on the projected image at once. Talk about engagement! I Learned So Much From Mathieu Chin & Jathniel Ong! As you can see, I am very excited about SPAN™ and its possibilities for facilitating highly effective learning for students. It was so great to be a part of testing the product and providing feedback, but the most important point I want to make here is the power of the insight of students. This experience reminded me how important it is for us to seek the input of our most knowledgeable stakeholder – our student. 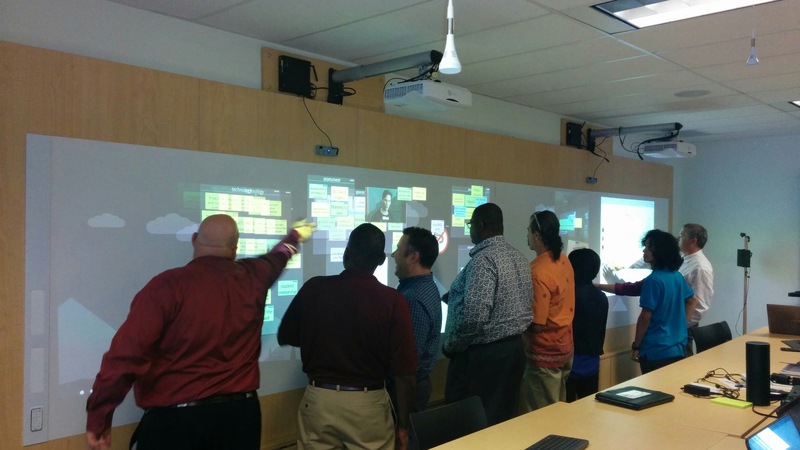 Kudos to Nureva, Inc. for modeling this for us as they transform the way we use technology in education. I had the opportunity to spend time this week in Calgary, Alberta Canada as a guest of Nureva, Inc. as part of a group of education professionals for a discussion about education technology. As a newly appointed Indiana State Board of Education member it was great to be meeting on the top floor of the Calgary Board of Education building. 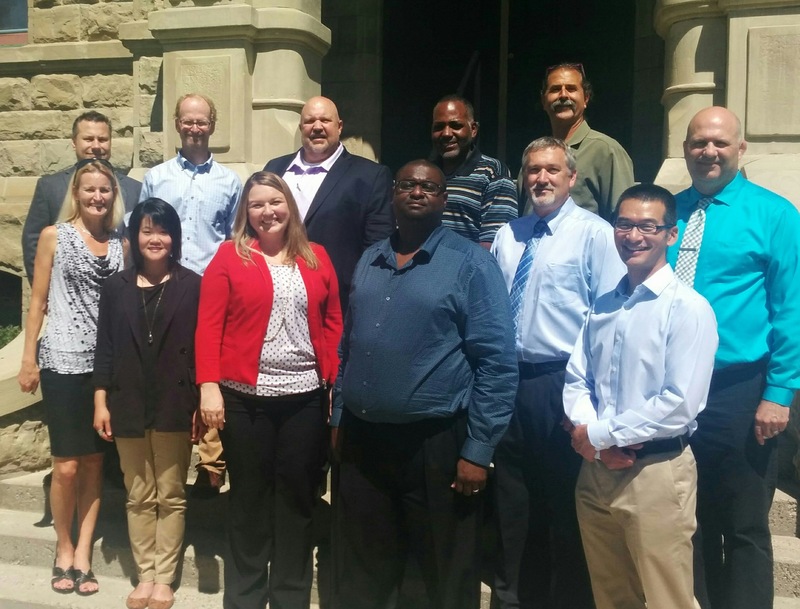 It was humbling to be learning from a group of outstanding educators from all over the United States and Canada. It was so exciting to be working with a group of individuals and education technology company that believes in and practices “holistic adoption” of projects and initiatives; whether those projects and initiatives are related to business technology, educational technology or other academic processes. This “holistic adoption” must include professional development. This adoption must also include strong involvement of community and stakeholders, both in the decision-making and adoption/professional development phases. Of course, the most important piece of holistic adoption is the impact on the children we serve. We must be able to measure the impact. We also know, the most important person affecting our students is the teacher. Therefore, I would submit the most important essential question, from a school perspective, when holistically adopting new strategies is: What does that mean to a teacher who has never done this before? 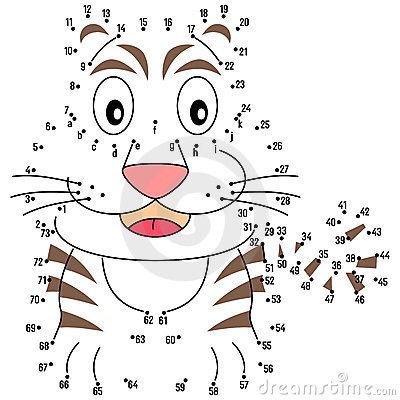 As I reflected on my essential question, I thought about the “connect the dots” sheets we used to get in school. You remember – those numbered sheets that if you follow the numbers with your pencil, it creates a picture. Anytime we bring on a new project or initiative, we must connect the dots to previous initiatives; or, it will look like we, as leaders are abandoning the ongoing initiatives or initiatives from before. 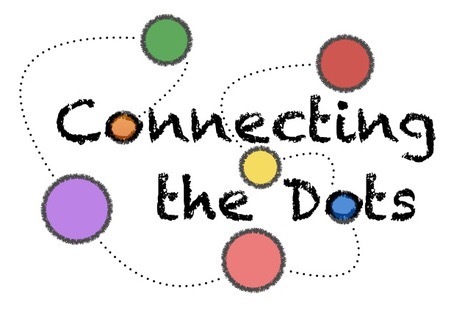 We must connect all of the dots for those we lead.Those dots may be past to present, connecting initiatives to student learning, connecting what the intitiative means to teachers and students, or connecting the initiative to the mission, vision, strategies, and action plans of the school/organization. In other words, making sure we connect the dots for those we lead to what his or her role is in accomplishing the mission. Are you connecting the dots for those you lead? We all know it is a priority to help each person in our organizations to focus on his or her strengths to enhance the performance of the entire organization. 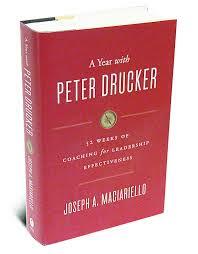 This week’s coaching for leadership and effectiveness lesson from Peter Drucker deals with managing the superstar. After reading this week’s entry I would back up a step and say that some organizations (and probably most if we are honest), my own school included, have to find ways to identify the superstars. Additionally, we need to find ways to develop team members into superstars – that will be a topic of another blog post on another day. 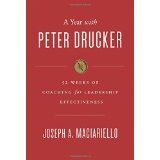 Helping each person to focus on his or her strengths will enhance the performance of the entire organization. The goal is to use the performance of starts not only to promote their objectives but by their positive example, to raise standards of performance of others and to help others become star performers (Maciariello, 2014). We as the leaders of our organizations have the obligation to provide opportunities for our team members to build on their strengths and make their weaknesses irrelevant. In other words a skill or behavior that is a strength in one person can offset a weakness in the form of that same skill or behavior in another person. We must think: What can we do to make the deficiencies become subordinate to strengths? This can be done by highlighting the performance example the individuals set and making our superstars in particular areas accessible to colleagues who need their help. One way Drucker advocated using star performers was to use them as featured performers. 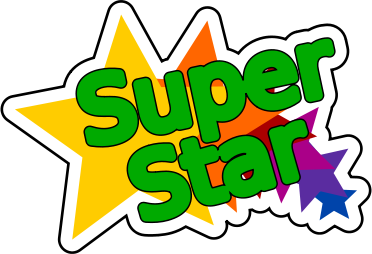 By using star performers as teachers of his or her peers allows the star performer recognition as well as building pride in the organization for all. Let’s face it, learning from an actual high performer would be the most effective way to learn. Additionally, it is an important function of us, as leaders, and our organizations to make our team members’ strengths effective in performance and to help neutralize human weaknesses. In all of this, however, do not forget that superstars are expensive. I am not talking money here. They are hard to deal with sometimes because, almost always, they are very unbalanced (Maciariello, 2014). Thus the title of this post: The Greater the Strengths the Greater the Weaknesses. Superstars are very narrow in their range. This makes it challenging for us as leaders, but be must find ways to effectively use the incredible talents of these individuals. 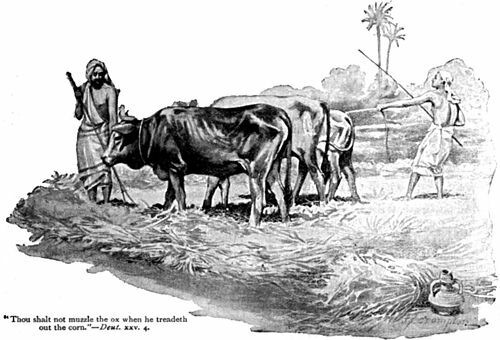 Maciariello (2014) used a very appropriate Bible verse from Deuteronomy 25:4 to illustrate: “You shall not muzzle an ox while it is treading out the grain. Let it thresh the corn [and reap rewards accordingly]!” One thought is for us, as leaders, to tread right along side of our superstars. Leaders need to remember that team members are paid to perform and not to please you as the leader. What does your organization do to build individual strengths and neutralize weaknesses? Do you have a process to recognize and use your superstars to serve a models and teachers for the other team members? Do you and your organization keep superstars where their strengths remain productive? Do you protect your superstars, and all team members for that matter, against their blatant weaknesses and errors? This past weekend my family and I had the opportunity to spend a few days up in the Ludington/Scottville, Michigan area for the Fourth of July weekend. 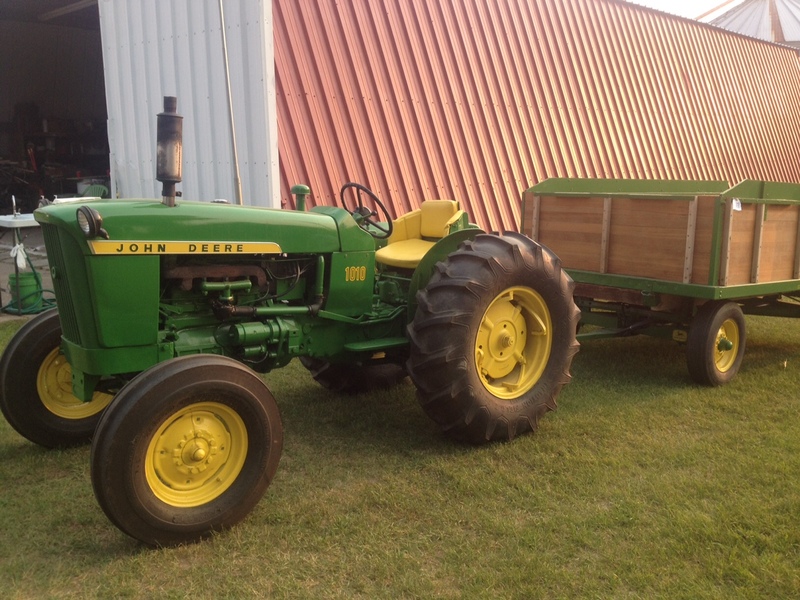 The main objective was to attend the Ninth Annual Farm Party of our good friend, Kevin Eikenberry, and his family. He had been inviting us for the past several years and it seemed as if every year something came up preventing us from attending. This year, however, we made it happen. We had an absolutely wonderful time. While these seem to be simple questions; they are very complex to answer when used in the context of strategic planning for an organization. So, let’s take a stab at these from the perspective of the Annual Farm Party. Why are we doing it? Kevin hosts this party to honor his father, family, neighbors, and friends. He is really providing a family/community reunion of sorts. Except, it is much more fun than any family reunion I have ever been to. How are we doing it? Kevin hosts at his family farm he grew up on. He really relies on neighbors, family, and friends to pull the party off. I was amazed to watch everyone doing their “jobs.” It was a little daunting to be a “first-timer” to the party, because I had no “job.” Kevin even went so far as to put in 30 amp electric service boxes for those of us who had brought travel travel trailers or RVs to stay in. As I watched the whole event unfold I thought about strategy and strategic planning. In my world, as a school leader, strategic planning is an exercise in setting direction, prioritizing work, and prioritizing resources. Done properly this is not just a document, but a working/living plan. 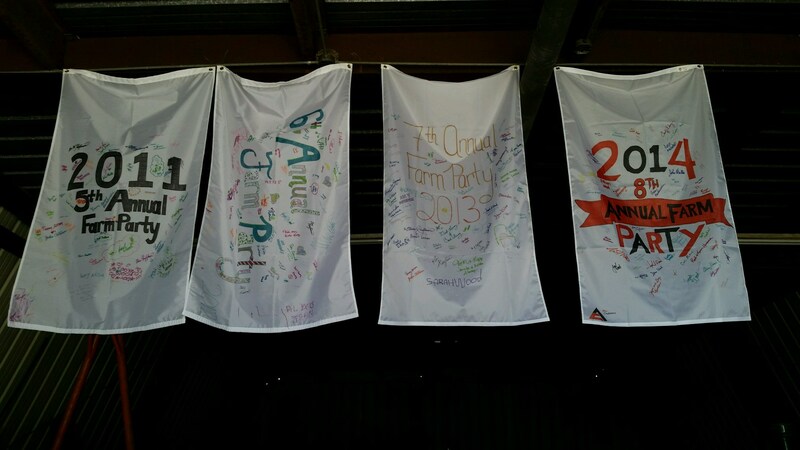 The Farm Party strategic plan came together perfectly. Resources were allocated to the perfect places and the puzzle pieces came together for a well-planned event. From a strategy standpoint, I believe the most important lesson modeled was the fact that every “regular” attendee of the Annual Farm Party (there have been nine now) knows what his or her role is in making the party a success. Even down to the person that brought and cooked bacon and pork loin strips on the grill as the midnight snack! This principle of every person person knowing what his or her role is to accomplishing the goals, mission, and vision of the organization is one of the most important lessons I learned from Liz City and Rachel Curtis during my work at Harvard University for Strategy in Action. These two great teachers of strategy drove home the fact that each of us and our team members needs to know our role in carrying out the theory of action of our organizations. Again, it is worth repeating – Every person needs to know his or her role in carrying out the mission, vision, and goals of the organization. So, back to the Annual Farm Party model. There were individuals who the job of cooking on the grill, cooking in the house, building the bonfire and keeping it stoked, conducting hay rides, bringing picnic tables, setting up food tables, banner making and signing, and on and on. Anyway, you get the idea – everyone knew their role. In fact the roles were so well defined that as an outsider (don’t confuse outsider with not feeling welcome, we were welcomed) I felt like I was being lazy and not helping. But…this was evidence of a well oiled machine. Then, making what they are doing more visible to everyone! Curtis, R. E. & City, E.A. (2012). Strategy in action: How school systems can support powerful learning and teaching. Cambridge, MA: Harvard Education Press. 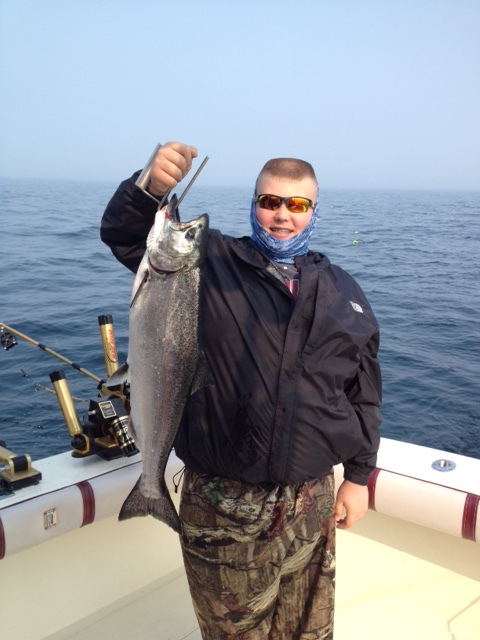 14 Pound King Salmon Caught By Heath! 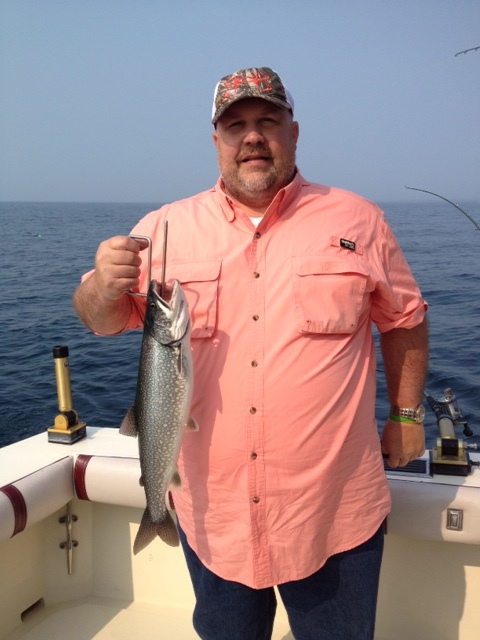 While our family was in Michigan this past weekend, my son and I went fishing in Lake Michigan. 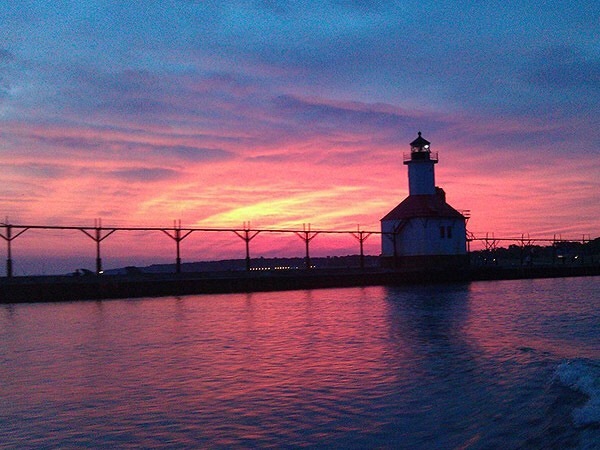 There was something really special about being on the boat and headed out to the middle of Lake Michigan at 5:00 a.m. on the morning of the Fourth of July. It was cold and foggy and I couldn’t help but think of George Washington crossing the Delaware. I was struck by how the captain of the Dreamweaver III, our charter, used strategic planning to give us a great experience. Strategic planning is about the allocation of resources to carry out the mission, vision, and goals of the organization. Our mission, vision, and goal was very simple: Catch Fish! To that end, our captain, Shane Ruboyianes, had pulled satellite images of water temperatures and had plotted the best fishing location based on the catches of the previous week’s excursions and the temperature bands on the satellite images. He explained that the band was wider on our day of fishing than on the previous days. The tighter the band, he explained, the tighter the fish hang to the edge of the warm temperature band. 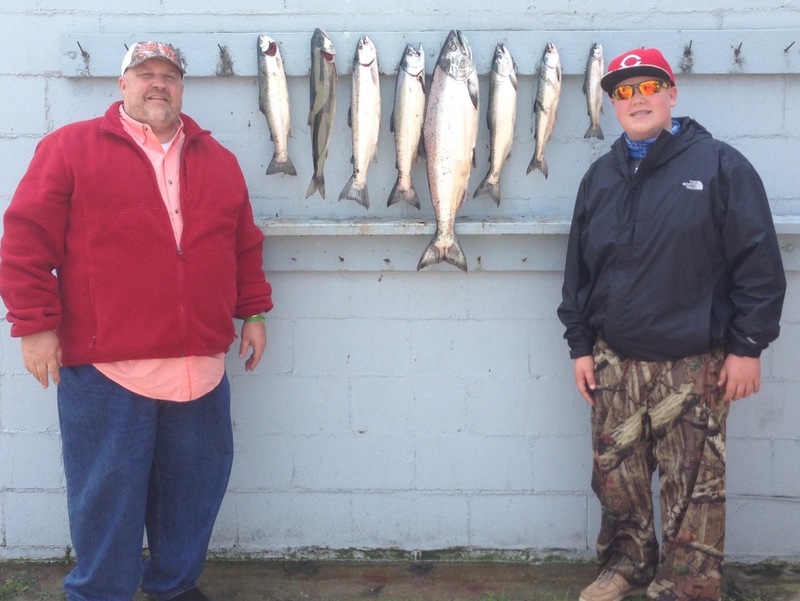 Thus, the greater the likelihood of catching our limit – five each. 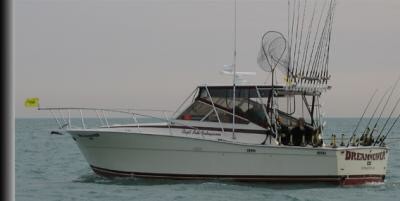 Our captain then informed us that he thought our best strategy (he used that term) was to go one hour out (one way) to the middle of Lake Michigan to fish. On a seven hour fishing trip we would be committing two hours of our trip (time resource) to this strategy. We committed the two hour resource of time. 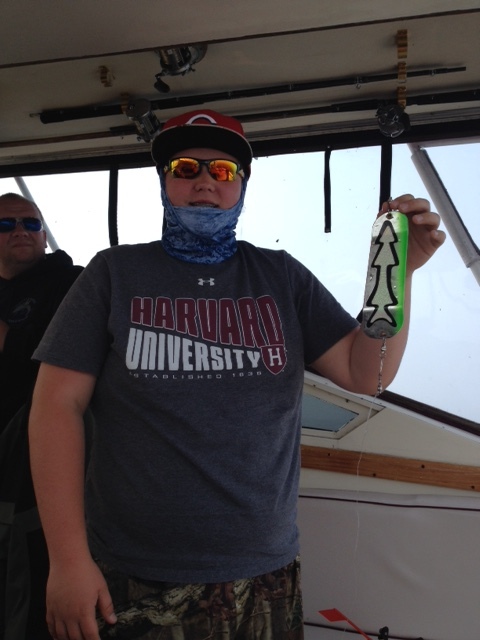 Heath with the lure he caught his big King Salmon on! Then the lures became a strategic resource. We caught a Coho Salmon right of the bat. 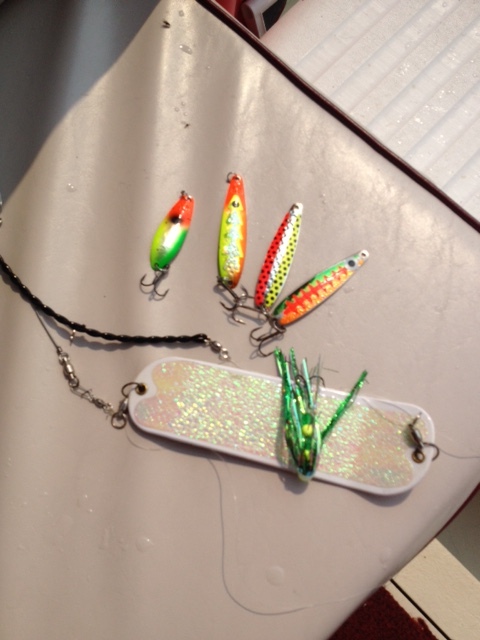 Then we went on a dry spell and decide to change a couple of lures to different colors and configurations and began to catch fish again; One more Coho and a Steelhead Salmon. Then another dry spell and another lure change which brought about two more fish. Long story short, we ultimately caught nine fish on seven different lures and eight different rods. We we one short of reaching our limit, but still a successful day. Also, it should be noted that we caught four of the five species of fish in season right now: Coho Salmon, Steelhead Salmon, King Salmon, and Lake Trout (we did not catch a brown trout). The Product of our Great Morning Together! 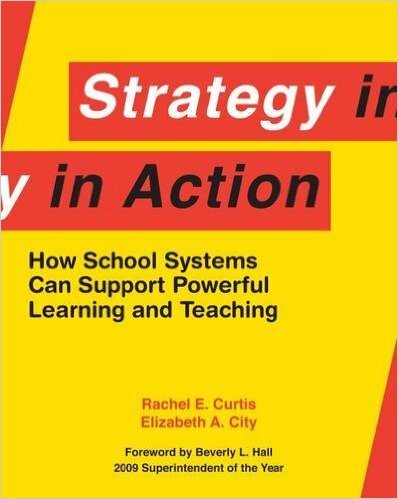 Relating the story back to strategy in action, I want to visit the three important strategic planning questions that Elizabeth Curtis and Elizabeth City describe in their book Strategy in Action: How School Systems Can Support Powerful Learning and Teaching (2012). During my studies at Harvard University with these two great strategic planning gurus I learned the importance of answering these three questions when beginning strategic planning. How are we doing it? Hired a highly recommended charter boat. Based on water temperature maps we committed to going 30 miles (one hour) out. Based on the fish caught, we changed lures accordingly. So, what’s the lesson? We made a commitment to where we would fish – it would have been tough to change after committing to this. Conversely, we were agile about lures – constantly changing according to what was being caught. How can you relate this story to your organization’s strategic planning? Is your organization agile enough to make course corrections according to what the data is telling you? In the partnership of a network there can be no command and control (Maciariello, 2014). The questions must be, “What are the objectives? ; “What are our values?”; and, “What are our ways of doing things?” Networked organizations are demanding to lead, and rely on developing and maintaining strong personal relationships among the partnering organizations. A network is somewhat like a team, except the network builds the team out of a wide variety of organizations. I have been reading the great book by Carlo Strenger, The Fear of Insignificance: Searching for Meaning in the Twenty-First Century. Strenger argued the ideology of political correctness failed because it was a “profoundly inauthentic prescription: it is humanly impossible to genuinely respect beliefs no matter how irrational, immoral, or absurd (Strenger, 2011).” The resulting culture was emotionally frozen and often did not lead to fruitful discussion between worldviews in general, and between secularism and religion in particular. The ideology of political correctness stated that the only civilized way of coexistence was to respect other peoples’ beliefs, just because they are held by someone. The hope behind this ideology was that if we would just be nice and respectful to each other, we would somehow be able to coexist in the same polity. The resulting culture of us all wanting to be “politically correct” led to us being emotionally frozen and often did not lead to fruitful discussion between worldviews in general, and between secularism and religion in particular. Strenger advocated for “civilized disdain, an alternative to political correctness that is more authentic and more attuned to what we really feel toward worldviews that we do not approve of on moral or intellectual grounds. (Strenger, 2011).” The difference between civilized disdain and political correctness is that the former allows one to feel disdain for a person’s or group’s views or beliefs while maintaining respect for the human beings that hold them. I am so glad I read Strenger’s book. Interestingly, I do not have all of the same beliefs, but I do believe we could consensus build and problem- solve together. Also, I do appreciate his look at the world and our interactions as a global society, or homo globalis, as he calls it. As I was studying this I was thinking about the signers of the Declaration of Independence and those who ultimately became the framers and founders of this great country, I love and call home. Shortly after the American revolution our founding fathers completed the Articles of Confederation. They then realized that the documents were inadequate to the task of unifying a diverse group of newly ­independent colonies. A debate thus ensued, between the Federalist side, led by Alexander Hamilton and James Madison, and the Anti­Federalists, led by Thomas Jefferson and Patrick Henry, over exactly how much power and authority to give Congress and the other central branches of the new government. Hamilton argued that a strong central government would be essential to the nation’s survival and prosperity, while his opponents insisted that most of the nation’s power should rest within the state and local governments. By 1787, a sort of compromise was worked out that resulted in our Constitution and its first set of amendments, the Bill of Rights. I have said this before and will say it again: I am glad there was the disagreement and debate over state’s rights. I firmly believe that had there not been the federalist and antifederalist debate, there would not have been the quality final product – our Constituion and Bill of Rights. 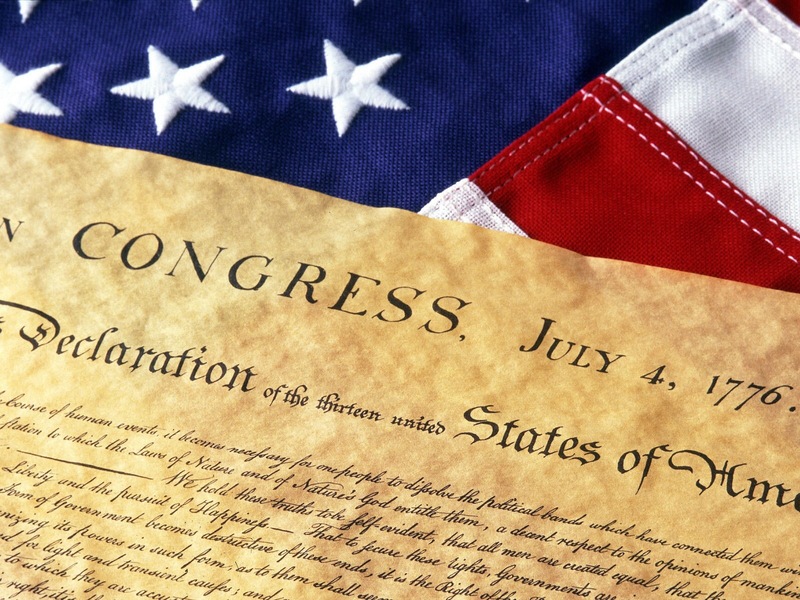 So, on this day of celebration of the United States Declaration of Independence, let us consider civilized disdain, where we allow each other to feel disdain for a person’s or group’s views or beliefs while maintaining respect for the human beings that hold them. Then, we need to take those difference and through compromise and consensus-building form them into a “best” solution. Finally, and most importantly, we must then implement. Strenger, C. (2011). The fear of insignificance: Searching for meaning in the twenty-first century. New York, NY: St. Martin’s Press, LLC.